Traditional costume of south India: south indian traditional costume earned global recognition because of its elegance and beautiful look. Many admire and love the Indian costume especially tamilian costume. Saree’s have special place among their costumes. Saree, blouse, half saree are traditional costume of them. They prefer to drape heavy Kanchipuram saree. Extra bit of pallu created which is worn around waist. Saree is the rectangular piece of cloth which is 5 to 6 yards in length. The color, style and texture of it vary randomly. Saree has ageless charm. Here tailoring work is not required. The saree available in variety of material like silk, georgette, crepe silk, chiffon is wide famous among them. Bangles are traditional ornaments worn by the Indian women, especially after marriage. It is a tradition among Indian women to wear bangles, as it is considered auspicious and has traditional value in Hinduism. 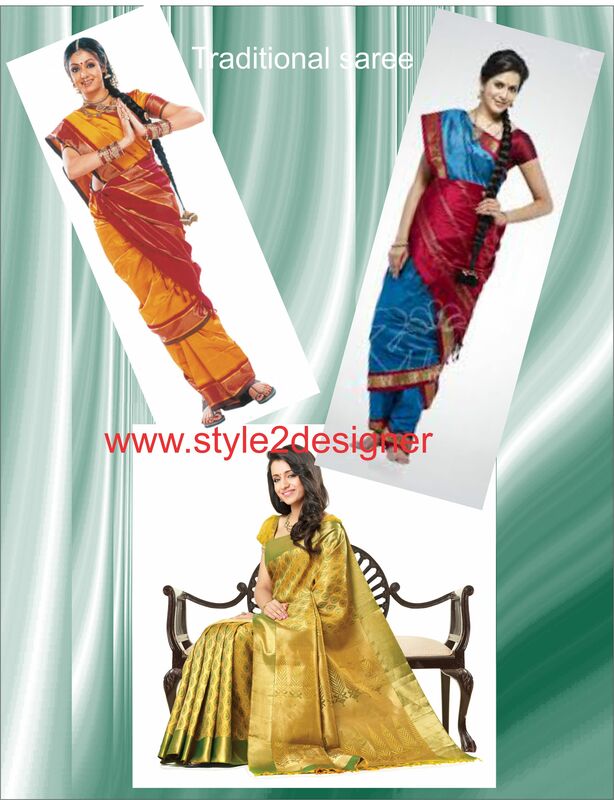 Draping of Saree’s vary from region to region. However it enhances the look of them. Usually rich look sarees are being preferred to wear during marriage ceremonies”. 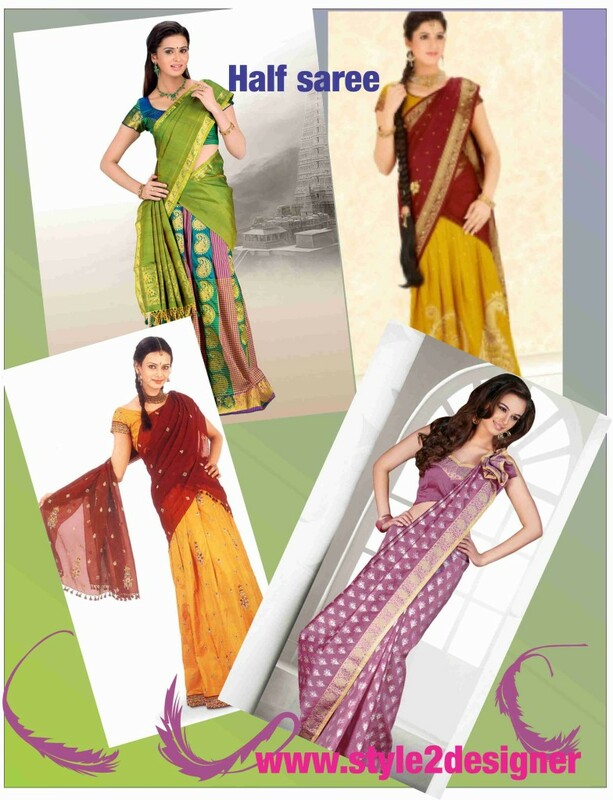 Half saree consist of long skirt and blouse and dupatta to drape around the body. Half saree is being worn by young girls and, it is not a preferred choice for a married womans. It was also comfortable for them to wear. In the current trend half saree gone out from the market and not in use. Costume of men is dhoti, shirt and angavastra. During working occasion they worn lungi and shirt. In this generation it got changed. In Tamil Nadu men are usually seen dressed in Lungi along with a shirt and Angavastra. The traditional Lungi originated in the South and it is simply a short length of material worn around the thighs like a Sarong. A Dhoti is a longer ‘Lungi’ but with an additional length of material pulled up between the legs. The Angavastra is a long piece of cloth draped around the shoulders. Previously it was worn instead of an upper garment, but now day’s men wear an angavastra over a shirt. With globalization, dresses are also getting westernized. Though the majority of the women in the state still wear traditional costumes, the men seem to be more comfortable in western clothing and have started wearing shirts and trousers instead of Lungi. very traditional pack of tamil nadu .